Merge DOC into PDF in seconds with comfort. You are here: CoolUtils > Total Doc Converter > Merge DOC into PDF in seconds with comfort. For some users TXT format is not comfortable for viewing, because of too long text lines and no formatting. 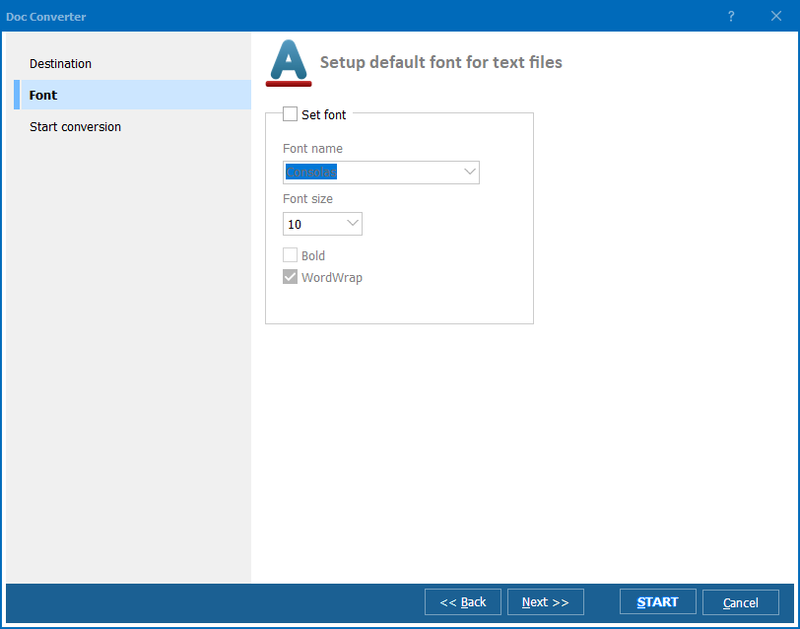 If you have some text document split to a few TXT files, you can always combine several TXT to one PDF file that is much more comfortable for viewing thanks to handy text structuring and zooming feature. There is even a special software tool that helps to do such merging, it is Total Excel Converter. Yes, it converts text documents from one format to another. And one of the conversion modes, is converting a few documents into one single file of a new format. 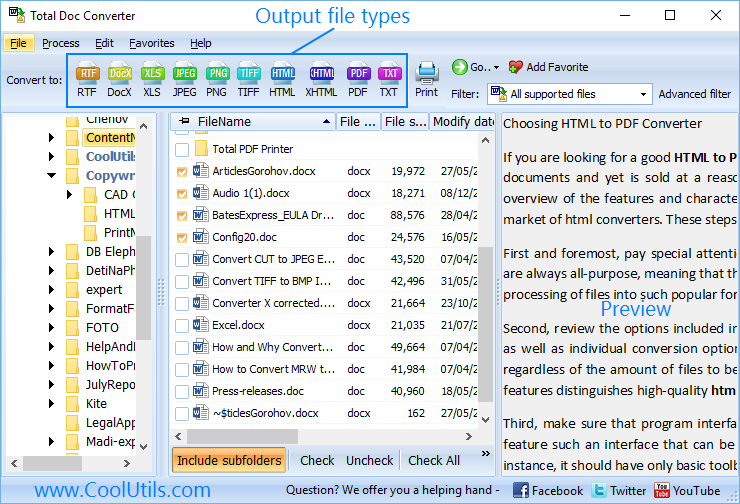 Converting TXT to PDF you can also use this feature. 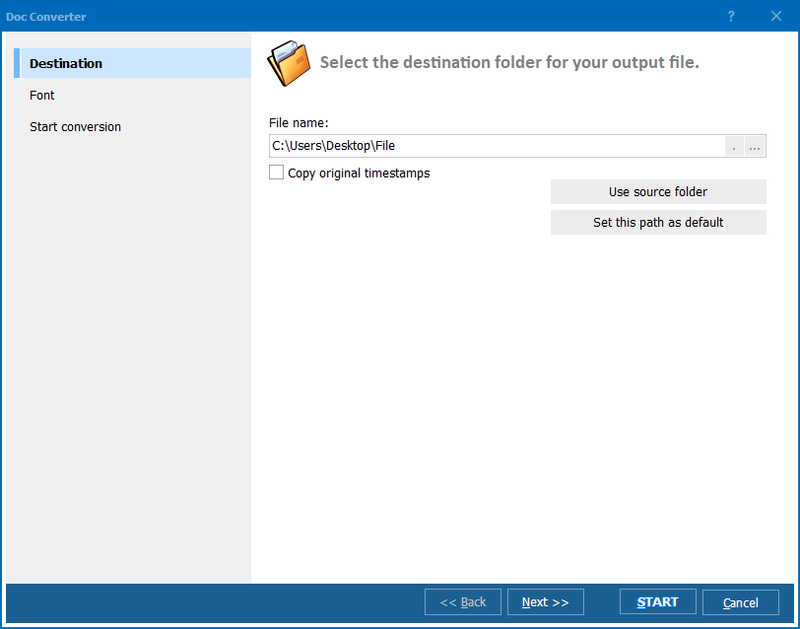 For merging all selected txt sources into one pdf file you will need to go to Select destination inlay and checkmark the option named ‘Combine all files into one’. This is the only setting required to be done in order to combine TXT to PDF. All other settings are optional. There is ability to test combining feature for free before buying the program. 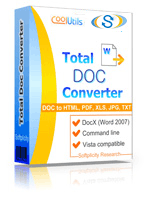 Total Doc Converter offers to try it for getting sure in its efficiency. Download the utility here and get TXT files merging started!